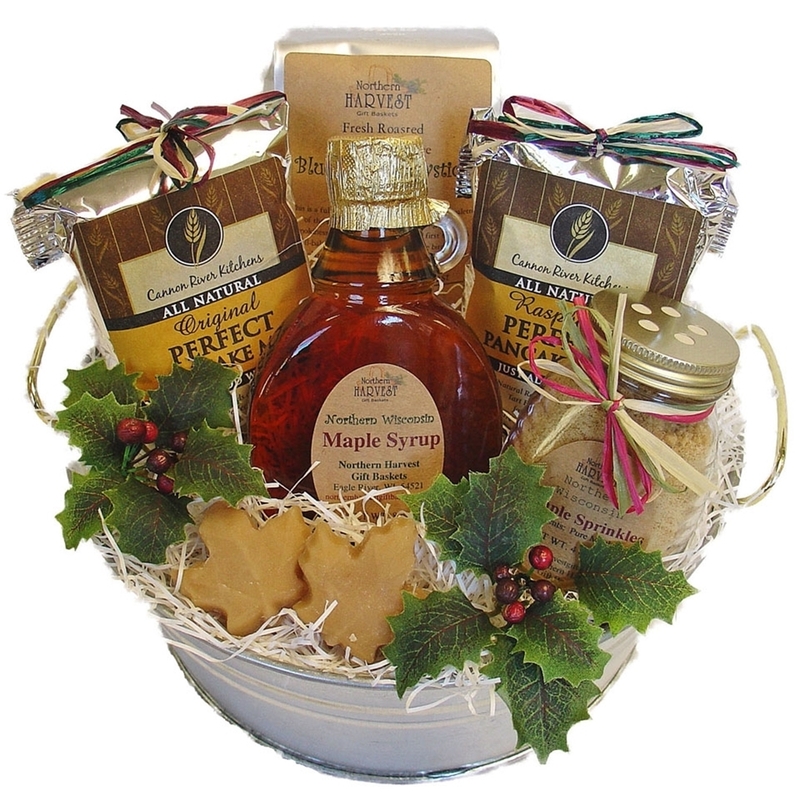 Enjoy this bucket filled with treats from Northern Wisconsin maple trees. Maple syrup and maple sugar will sweeten the pancakes made for your morning meal. And the freshly roasted coffee will put a smile on your face as you start your day. Irresistible Maple Sugar Candy (1.75 oz). Northern Harvest gourmet coffee is roasted fresh for each individual order! Now that is fresh! !